It’s the foundation that everyone’s been talking about. 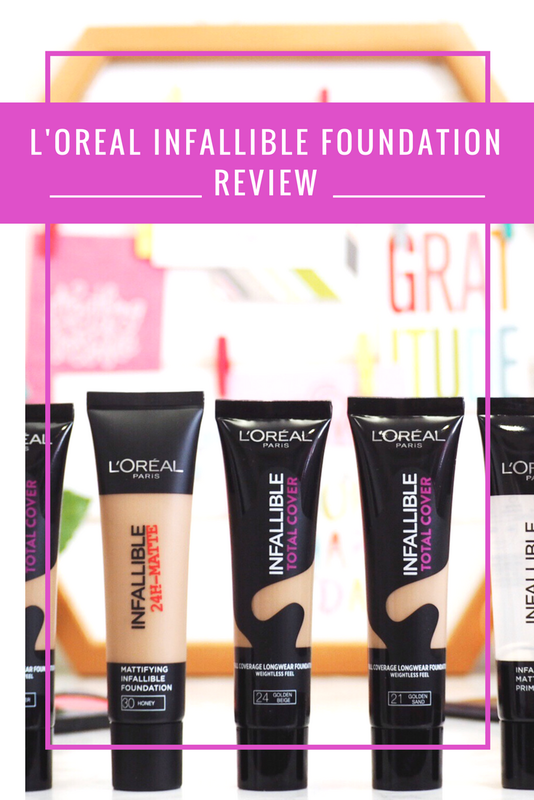 The L’Oreal Infallible collection has made big waves in beauty and if make-up is your thing then you’ll likely have experienced the same curiosity as me. In fact, even if make-up isn’t your thing then I think you’ll have been exposed to just as much excited chatter about this range, in particular the foundation. It seems that literally everyone has been talking about it – which is usually the time when I jump right in and see what it’s like for myself. 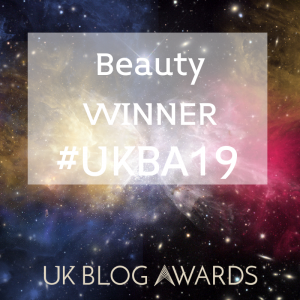 I’d heard the opinions, read the reviews and wondered – can a drug store brand really outperform counter brands and succeed where others have failed? *Spoiler alert* The answer is yes. Let me put this in to context: I’ve worn foundation since I was 12/13. In that time it’s become one of the few products that I always get from counter brands, mostly because my skin is oily and takes literally nothing to break out, therefore I trust these brands to give me a little something extra in the foundation stakes. Snobby, yes, but it’s the truth for me. I don’t dislike drug store foundations, I just haven’t found anything that works like my counter brand favourites. So when I heard about the Infallible range, my intrigue was raging. I’ve been using Charlotte Tilbury Magic Foundation since last year, and for two years before that it was Tarte Amazonian Clay. You can see where I’m going with this – I’m all about the full coverage. Girls, you feel me? I want my foundation to be matte, full coverage to cover errrything and long lasting. It’s not too much to ask right?! 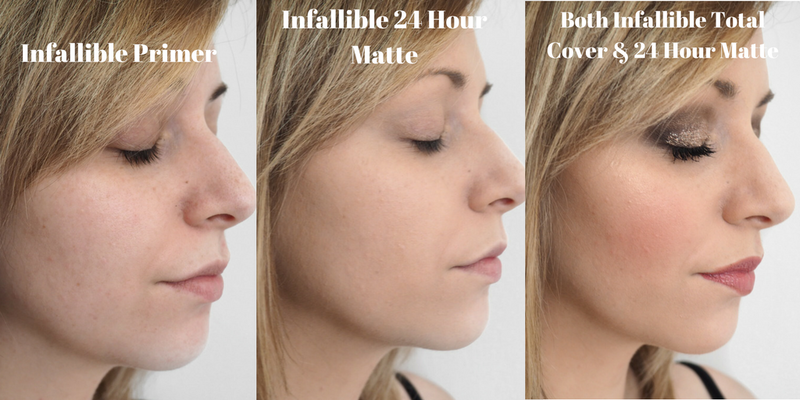 I decided to dive right in and try both the Infallible 24 Hour Matte Foundation and the Infallible Total Cover because both had been highly recommended and I couldn’t pick between the two. The first thing to mention is the price point – the 24 Hour Matte is £7.99 and the Total Cover is £9.99 – both of which make it a really affordable foundation for all budgets. It felt great to buy these and not be set back a much bigger chunk of money, so I was already feeling pretty good about them even before giving them a go. Of the two, this is by far the thicker foundation with regards to texture. It’s the sort of cream that you have to really squeeze out of the tube – it’s basically the opposite of those liquid foundations you get. It comes out nearly solid. Which gave the full-coverage fan in me hope from the first time I tried it! Because of the thickness, it does take a bit more effort to blend in, but only marginally because as soon as it’s put on to the skin it softens out pretty nicely. I’ve been applying with a brush but a beauty sponge is pretty good too at blending it in and getting a good coverage base. I can say that from the first time I tried this I was impressed with how full coverage it was, and just how matte. It ticked the biggest two boxes for me on the foundation stakes right away. I can see why L’Oreal say this can cover things like tattoos – it’s that thick! It’s heavy but not overly or unbearably, and once dry you can’t feel it. Which had been a worry beforehand as some heavy foundations just feel like they sit on the skin and then they have that horrible cake effect – but not this. 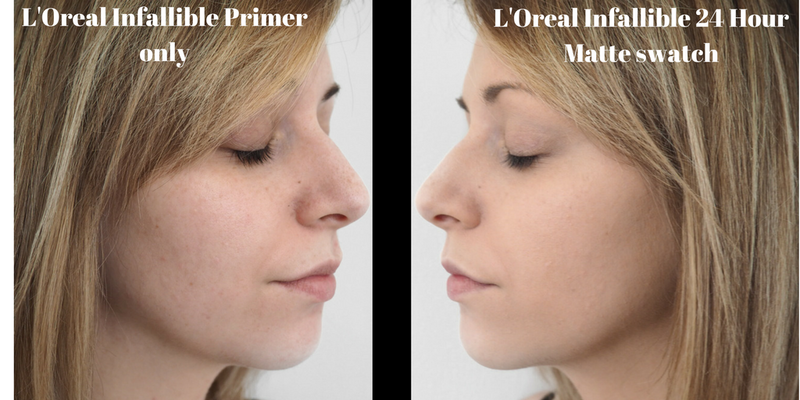 When it dries it’s not even noticeable, which is another great trait in foundation. Plus over the course of the day there’s none of that cakey feeling either. It doesn’t sink into your pores or lines and it doesn’t gather around the eyes by the end of the day – hallelujah. And it’s so matte that it really makes a noticeable difference on someone like me who has such oily skin that by mid afternoon my face looks shiny as hell. This helped to keep the shine at bay longer than a lot of my other foundations. Total Cover has basically been a huge, big hit. I’m one of those people who doesn’t reapply foundation through the day – I rely on my foundation of choice to be high performance enough to last the day. Which to be honest, rarely happens. Thanks to my oily skin, by the time I get home from work, my foundation has usually gone patchy. But this has been a nice change and given me a stronger level of coverage than I’ve had from a lot of other foundations. Those patches that wear off quicker have actually been looking more covered for longer and I’m really impressed with how long this lasts. This one has a more liquid texture and comes out of a nozzle so it feels lighter than the the Total Cover. 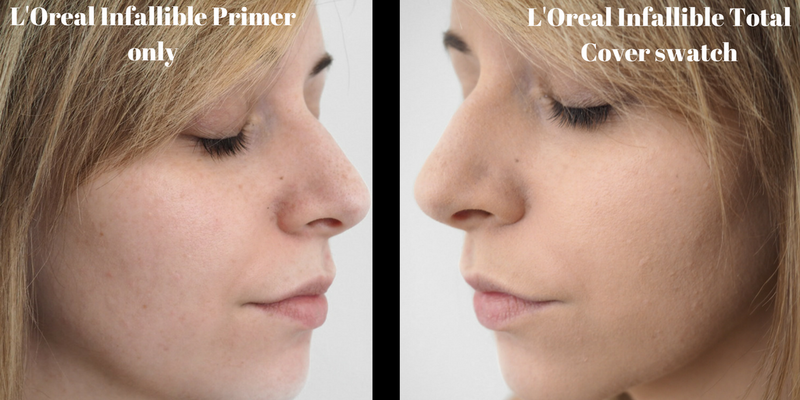 It blends perfectly because it’s a lighter texture so you don’t need to apply as much at all. Considering it’s got a more liquid consistency, it’s still got an excellent level of coverage and you can count on it for a full on full coverage foundation. This one feels almost powdery when dry, which I love because I feel like my skin can still breathe when I’m wearing it and it’s a matte finish which is exactly what I was after. Again, it doesn’t sink into pores or block them and it doesn’t gather around the eyes or go cakey. Another huge hit with the 24 Hour Matte. For me, I’ve found the best result is by mixing the two together. By doing that I’ve created my absolute dream foundation. Which yes – really has surpassed so many others, including tonnes of expensive counter brands that I feel I’ve now wasted my money on in the past. Mixing the two means I get the best of both foundations. Combining them gives me the deep, full coverage that I love about the Total Cover and using it with the 24 Hour Matte means I’m not using as much of the thickest one so my skin still feels like it’s breathing while wearing it. The combination of the two has given me the most perfect matte finish, and the lasting power of the the 24 Hour Matte means my foundation is still firmly in place – not budged or smudged by the time I get home. In fact some evenings I’ve gone out again for dinner without the need to even touch up – a first in my entire make-up wearing life. In conclusion if you want full coverage then either of these will work for you. If you want something to cover up deeper marks and blemishes and you don’t mind wearing a thick foundation then try the Total Cover. If you want full coverage that lasts but don’t need the extremely high coverage power for blemishes from the Total Cover, then go for the 24 Hour Matte. Or if you can’t decide, then go for both and mix them. Cus’ I bet you won’t be disappointed with the finish. Overall both foundations have made a massive impression on me and I’m a full-on convert to these two drug store foundations. 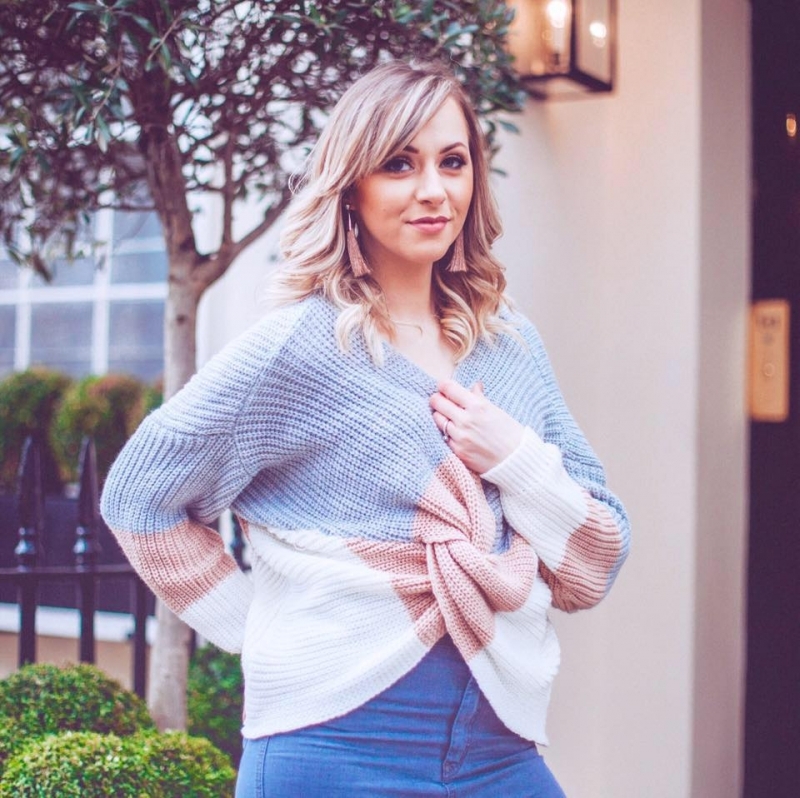 I’m still using one of my counter brands but the fact that these are now stored on my dressing table and are worn at least every other day…well, I think you’ll agree that they clearly are well worth every bit of hype in my opinion. What do you think – will you be giving the Infallible foundations a go? Or have you tried them already?